I’m adding a monthly intermediate-level class to my roster. This is ideal for folks who want a playful, supportive space in which to explore some more challenging aspects of practice. We’ll attend to alignment of the body heart and mind. We’ll play with stamina and resilience. We’ll dig deeper into some of the more elusive poses and support the journey through pranayama (breathwork) and sankalpa (wholehearted intention). “Practice class” means that I’ll be doing the yoga with you. Join me! If you’re not sure whether this class is for you, why not try it out and see? We’ll still have a warm, welcoming, and friendly vibe going. You can still/always pause and chill and rest and modify. The main difference is that this class will be a bit longer (90 minutes) and will have a baseline more challenging amount and level of poses. June 27 – Full Moon Edition! 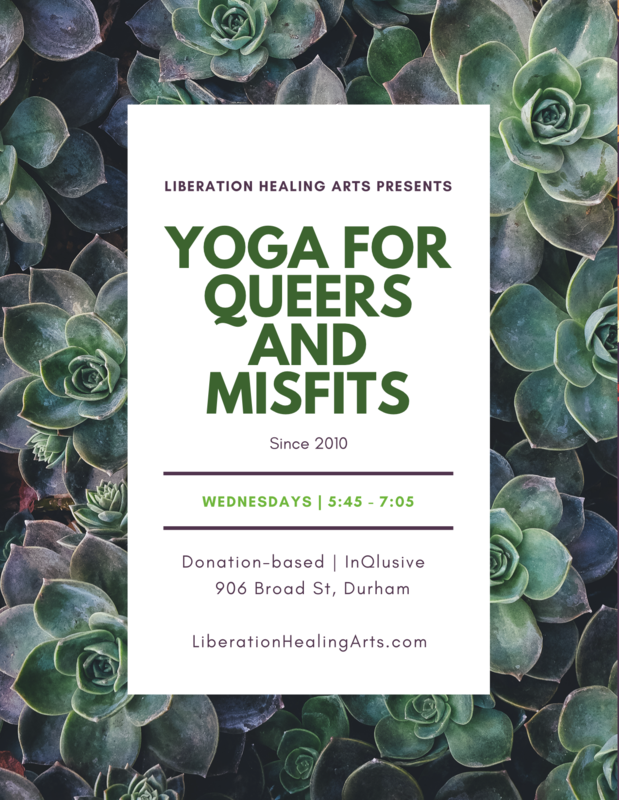 This entry was posted in Uncategorized, Yoga Classes and tagged community based yoga, community-care, donation-based yoga, inclusive yoga, inqlusive yoga, intermediate, lgbtq, resilience, yoga, yoga for all, yoga for queers, yoga for queers and misfits, yoga in durham. Bookmark the permalink.